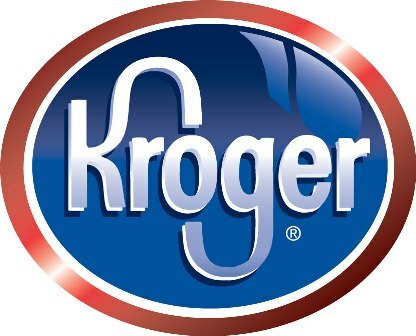 Attention Kroger Shoppers! Get ready for the Kroger Buy 5- Save $5 Event from October 14th-24th. Purchase 5 participating General Mills products, and receive a coupon for $5 off your next shopping order* (coupon printed at checkout)! Look for some of your favorite participating General Mills products like Cheerios, Lucky Charms, Cinnamon Toast Crunch, Pillsbury Toaster Strudel, Betty Crocker Cake and Brownie Mixes, Hamburger Helper, Totino’s Party Pizza, Yoplait** and many more! With the baking season in full swing, I plan on stocking up on some Betty Crocker cake and brownie mixes! Giveaway is open to US Residents only and will end on October 11, 2012. One winner will be chosen at random and will be contacted via email. Momfiles is not responsible for any lost or stolen prizes. Good luck! i will stock up on cheerios! we love cinnamon toast crunch, toaster strudels and totino's party pizzas. thanks for the giveaway, shelly! I'd be stocking up on Cheerios. I'll be buying Lucky Charms. Cheerios! We go through a lot of them. We eat lots and lots and lots of Cheerios! I'd stock up on those, milk and bread. I for sure will stock up on my cake mixes, especially with holiday season coming. I'll be stocking up on Yoplait. I would buy lots of Cheerios! I have some great coupons for Cheerios - so I'll be stocking up on those! Cheerios, Yoplait, and Lucky Charms! i am stocking up on cheerios! I will stock up on cereal. We try to keep over 50 boxes of cereal on hand(among other things) at all times to use as a non-perishable food source in case of a prolonged emergency situation. Good day ! Did you exploit some professional services to attract more readers your site ? Can't wait to see your reply. It's magnificent I didn't know about all this until I saw this article of yours . And there is also one thing I wanted to ask you. Do you own any useful data about how to protect your thoughts from being stolen without notifying you about it?